Treated with an oil finish and made from soft, premium-quality leather, this weather-resistant and foldable hat is made to suit the lifestyle of outdoorsmen and women wherever their travels take them. This hat folds in half twice and comes with its own bag for ease of packing. Made from Australian premium-grade full-grain cattle leather and treated with an oiled finish, it is super resistant to weather, smooth on the hand, with leather that looks like it can tell stories. Its unique grain and finish gives it a worn-in look even when new and requires no upkeep. 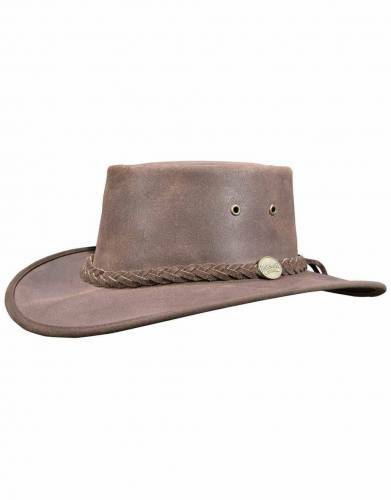 The Barmah Squashy Leather Oiled Safari Hat is durable, soft, flexible, and superior in quality. 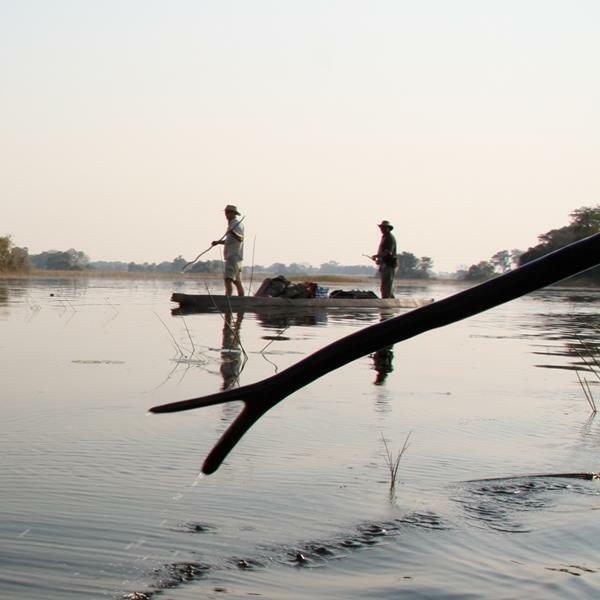 Its wide brim and high-quality materials and design make it water resistant and offers UPF50+ sun protection - a must for safaris and outdoor travels. Its ability to fold on itself makes it a compact travel choice, meaning you won't have to go on any outdoor adventure without your favourite hat. It comes with its own bag for total packing convenience. This hat was also successfully tested on the Bhangazi Horse Safari in the Isimangaliso Wetlands System, Maputaland, South Africa. As with the suede hat, the hat does not come with a neck cord, but the fit is so snug and comfortable that, even at full gallop, the hat did not come off. We think it is because the hat fits perfectly due to the soft leather (without feeling tight at all) and does not resist wind as much as the canvas hats. ⊙ MATERIAL: Made from premium Australian oiled cattle leather with a deliberate worn-in look which is sincere to the grain of the leather. ⊙ SUN PROTECTION: The brim and material of this hat offers UFP50+ all-round sun protection for your face and neck. ⊙ FOLDABLE: This hat is twice-foldable, fits into its own bag, and pops back into shape when it's unpacked - making it the perfect choice for travel.